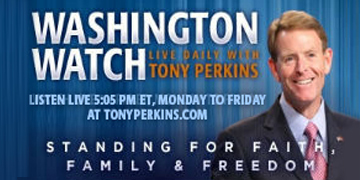 On this weekend edition of "Washington Watch with Tony Perkins" Former Congresswoman Michele Bachmann joined Tony with her thoughts on what the switch of control in the House of Representatives will mean for President Trump's agenda. Rep. Kevin McCarthy (R-Calif.) announced his bid for House Minority Leader and joined the show to share why he put his name in the hat. Also, Rep. Steve Scalise (R-La.) joined Tony to discuss the U.S. Supreme Court's decision to hear the case on the Bladensburg, Maryland "Peace Cross."